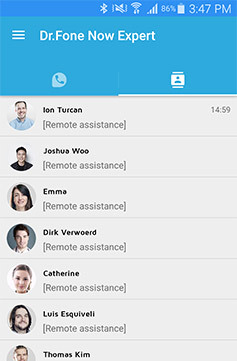 Mobile remote support, wherever you are. 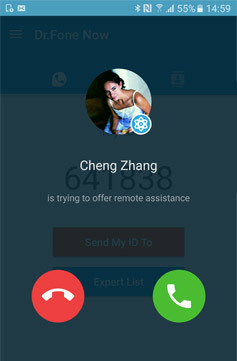 Troubleshoot and resolve mobile issues using phone-to-phone remote technology. Get help and help others anytime, anywhere. Change background/ringtones, clean space, enable USB debug, etc. WhatsApp, Facebook, Instagram, stock, etc. Recover, transfer, backup and restore, etc. Download Dr.Fone Now and run it. Receive and enter target user's ID. Instruct others with a live voice chat. Draw lines and other images to supplement your instructions. Terminate the session when issues solved. 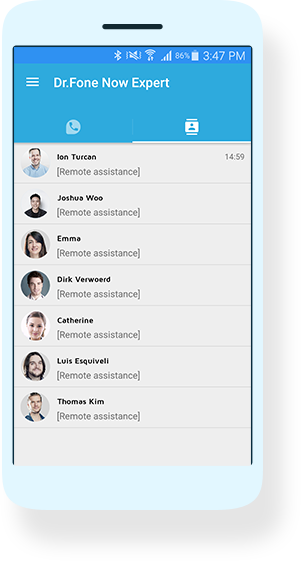 Everyone can get and handle this remote support app. It's free for all of us. 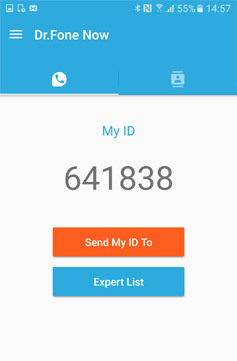 You can initiate contact easily using target user's ID.Then display his/her screen on your own device. Provide verbal instructions using two-way voice chat, or demonstrate your instructions by drawing on your shared screen. You can choose who you communicate with, and terminate sessions at any time. No data is recorded and only you can affect your own device. • Share your experiences on mobile phones to help others at anytime and anywhere. 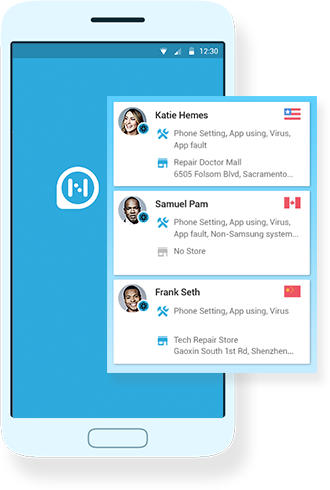 • Get your family and friends out of phone's troubles immediately and easily. • Earn some money with your skills at your spare time. • Pick up mobile business at home from every corner of the world. • Save your cost on building branch stores. • Make your service more quickly and conveniently for customers. Dr.Fone Experts are mobile specialists that can provide remote support. 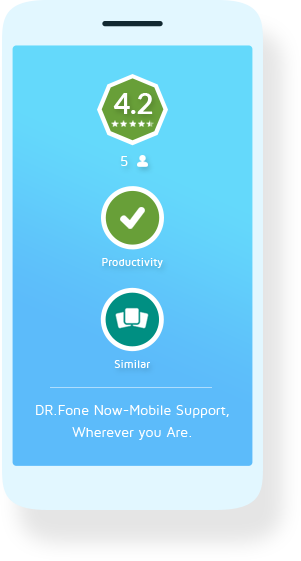 Whether you are self-employed or owns a mobile repair shop, you can become a certified Dr.Fone Expert on this platform and provide your services to others. 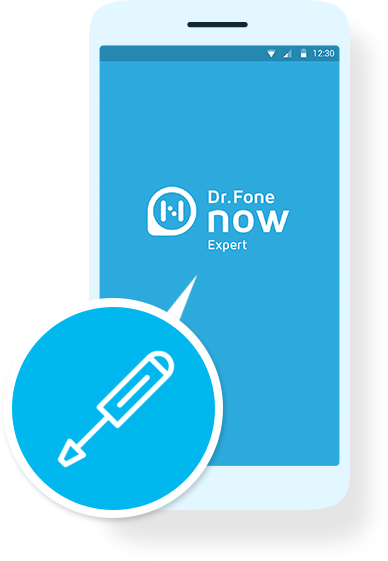 Find a Dr.Fone Expert, or become one now. Do I need to pay for using this app? No, Dr.Fone Now is for free. After terminating this service, can experts still access my phone via Dr.Fone Now? No, experts can't connect with your phone without your permission. Is it safe to have Dr.Fone Now installed on my phone? Yes, it's completely safe. Dr.Fone Now can't keep any of your data or get your phone connected to others at any time without your permission. Can the expert see all my personal data? No, experts can only see your user name, your Dr.Fone Now ID, and the desktop of your mobile. You can refuse if any expert asks for accessing your personal data. How can I become a Dr.Fone expert? Submit an application and wait for our approvement. Should I be online for a whole day after I become an expert? No, you don't need to. Users will leave you a message when he/she has need your help, and then you can choose a time available for both of you. How can I get the money from the platform? As an expert, you can tell users your fee for the work and then make a payment according to the way you both like.